Looking for a high protein, high energy, nutritious breakfast idea? 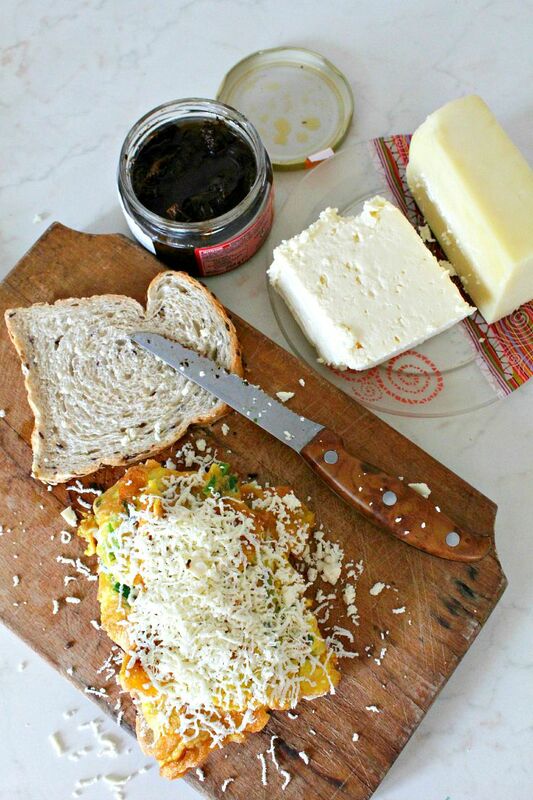 This omelette sandwich, packed with awesome, tasty ingredients, will help you start your day in a bright mood. Do you guys like eggs for breakfast? I’m a sucker for omelettes, I could have omelettes with every breakfast if it wouldn’t show on my waist line. Plus having eggs so often might put a little stress on my liver. But while eggs are quite nutritious and nourishing, sometimes they’re not enough to keep me full and energized for long, on days when I’m super busy and I do a lot of physical work. I need something more than just an old fashion omelette and this is how this amazing omelette sandwich got born. 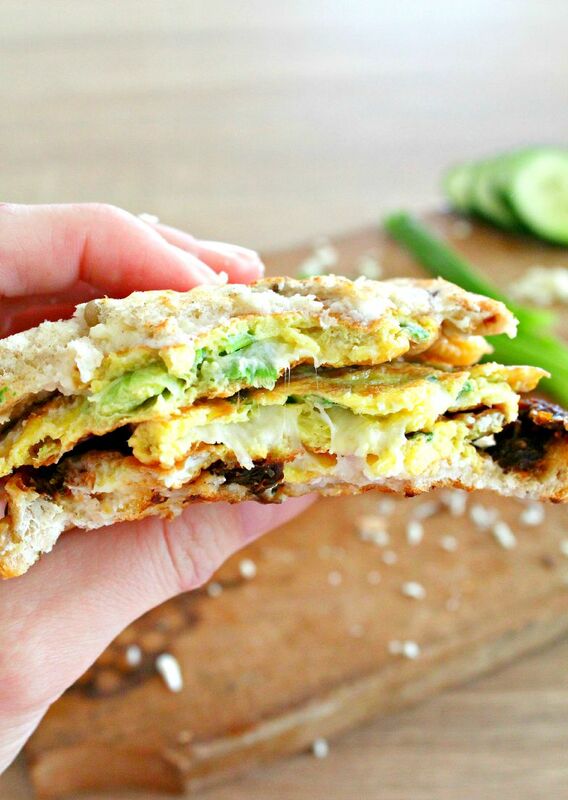 Your breakfast experience just got better with this omelette sandwich recipe! This has started as a simple omelette with green onions and cheddar cheese. I decided to place the omelette in between 2 slices of whole wheat bread just to make my life easier. 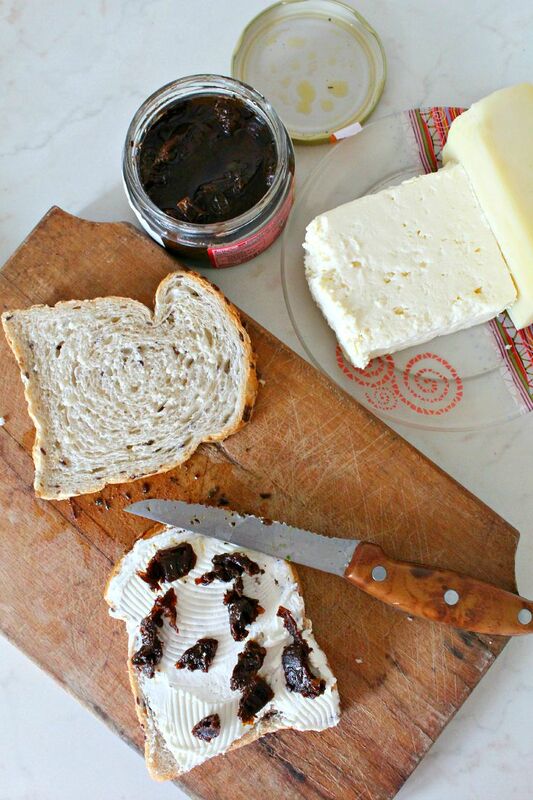 It seemed like a boring breakfast though so I spread a little cream cheese on the bread, added some chopped sun dried tomatoes, and sprinkled some goat cheese on top after adding the omelette. 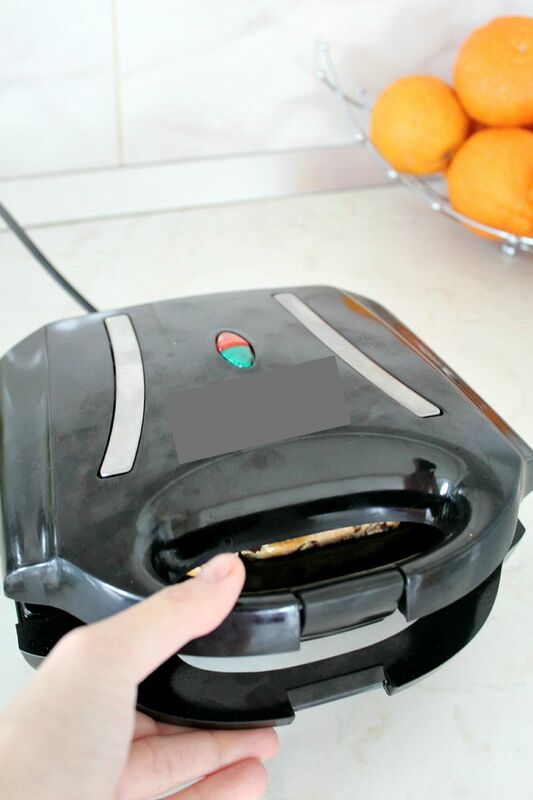 I tossed it in my sandwich maker for a couple of minutes and I got myself a nice, nutritious and tasty breakfast. 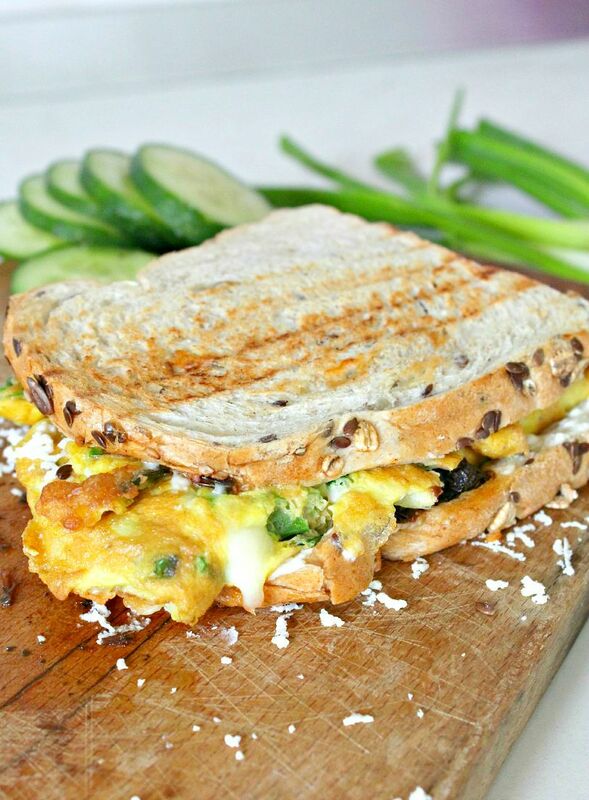 Pairing this amazing omelette sandwich recipe with a few slices of cucumber and some more fresh green onions seemed just the right thing to do. It proved to be a great choice!